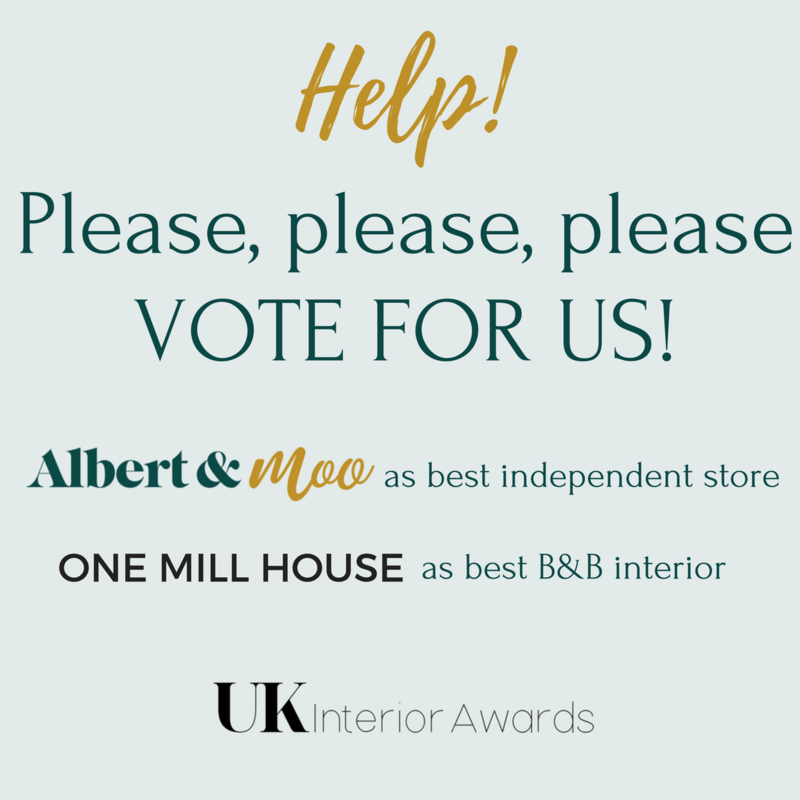 I am absolutely delighted to tell you that Albert & Moo, less than six months after we launched, is up for an award at the UK Interior Design Awards, for best independent store. And not only that, but One Mill House is up for best B&B/Holiday Home interiors. So here I am, asking, maybe even a little bit begging, for you to pop along to the UK Interior Design Awards website, and vote for us. Pretty please with a cherry on top! 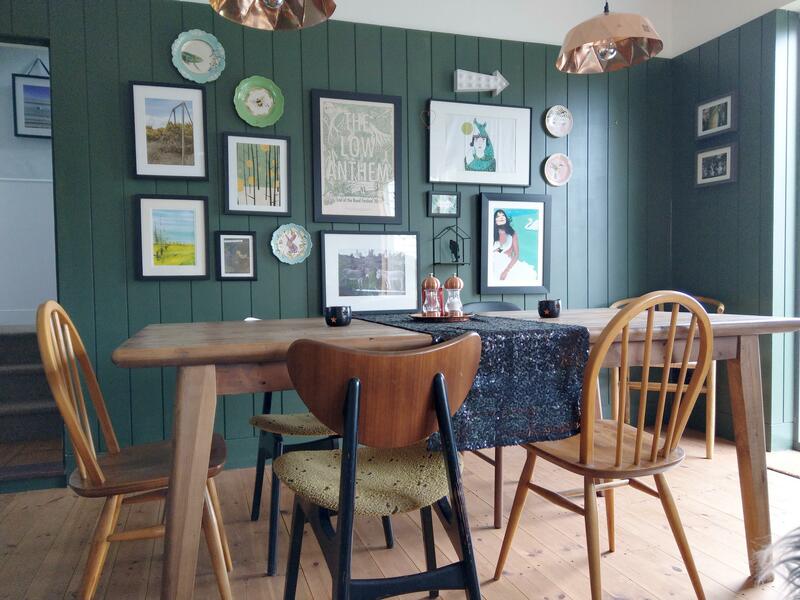 The UK Interior Awards website can be found here, and below is the dining room at One Mill House, which showcases many of the products we sell on this website. Can you spot them all? !